Arrival At Phuket Airport. Pick Up By Coach. Proceed To Hotel. Evening At Hotel. After Breakfast Take Phi phi Island Tour With Lunch. Back To Hotel. Enjoy The Evening By Own Way. Rest At Hotel. Take A Flight To Pattaya. Check In To Hotel. Enjoy Coral Island Tour. Water Sports By Own. Visit The Market. Evening Halt At Pattaya. By Seat In Coach Transfer To Pattaya. Enjoy Evening Market Walk To Bangkok Have A Dinner ( Own) Back To Bangkok Hotel. Enjoy Bangkok Local City Tour. Evening Spend Time By Own. Back To Bangkok Hotel. 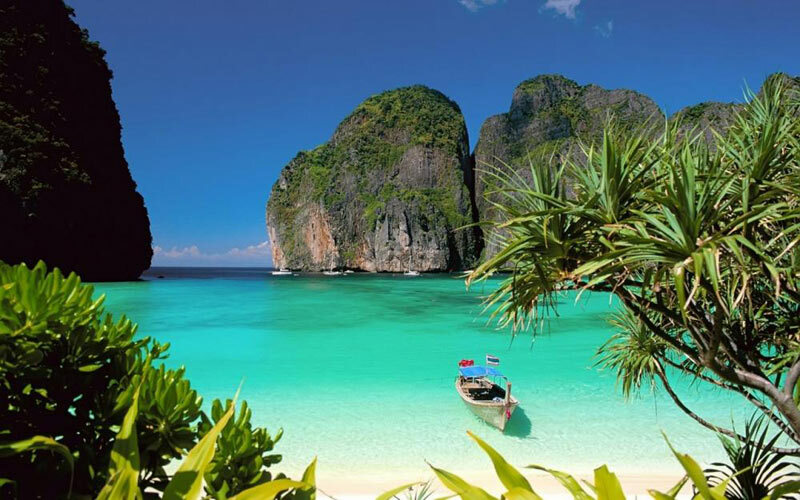 2 Nts Phuket - 2 Nts Pattaya- 2 Nts BangkokFlight Ticket. Visa On Arrival For Thailand. Cost Per Person : 230 USD. Hotel Check In Time 14.00 Pm And Check Out Time 12.00 Noon. 3.09% Gst Will Be Added Against Total Bill Amount. No Space Is Being Held For Your Booking At Present. Space Will Be Confirmed Subject To Availability At The Time Of Receiving Your Acceptance Of Our Offer. Hotel Rate Always Change Without Any Prior Notice.